There are places in the United States of America where violent acts of bloodshed have occurred. Years may pass-even centuries-but the mark of death remains. They are known as Murder Houses. From a colonial manse in New England to a small-town home in Iowa to a Beverly Hills mansion, these residences have taken on a life of their own, gaining everything from local lore and gossip to national-and even global-infamy. Here, writer Steve Lehto recounts the stories behind the houses where Lizzie Borden supposedly gave her stepmother 'forty whacks,' where the real Amityville Horror was first unleashed by gunfire, and where the demented acts of the Manson Family horrified a nation-as well some lesser-known sites of murder that were no less ghastly. 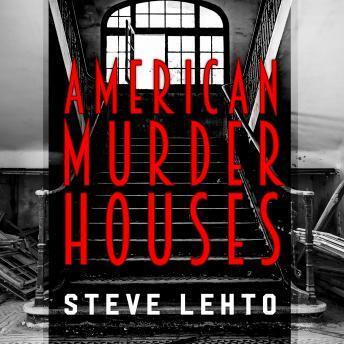 Exploring the past and present of more than twenty-five renowned homicide scenes, American Murder Houses is a tour through the real estate of some of the most grisly and fascinating crimes in American history.